This is an INCREDIBLE invention that could save the lives of BILLIONS of people around the world. Remember, there are billions of people around the world as you read this without safe drinking water. Larger filtration containers are also available. One filtration cartridge lasts for 6,000 liters of water. The larger containers will process up to 25,000 liters of water, which is enough water for a family of four for a few years. http://www.ted.com Too much of the world lacks access to clean drinking water. 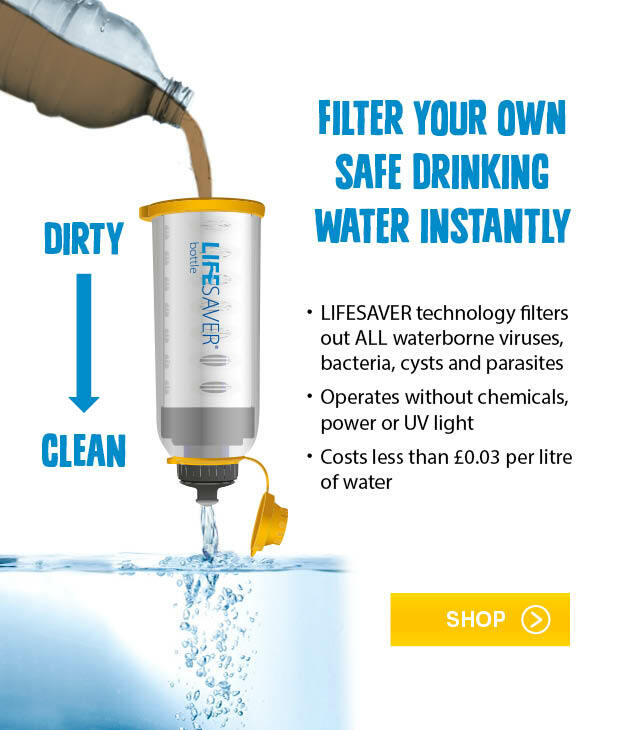 Engineer Michael Pritchard did something about it — inventing the portable Lifesaver filter, which can make the most revolting water drinkable in seconds. An amazing demo from TEDGlobal 2009.